I am unable to find the charge amount for my 74 Impala. I am retrofitting to R134A and need to know how much freon it originally took and how much oil to put back in the system as I will be flushing it after a compressor replacement. I have looked everywhere I can think of and have come up short. The advice from me, and others here, is do NOT retrofit to 134. I guarantee you will be disappointed with the results. First, you should have a VIR unit on that year car, (Valves-in-Receiver) that has within it a POA valve set to R-12 specs only, and is non-adjustable. Second,you have a large interior to cool down and you will need max efficiency to do that. You will not get that with 134. You do have a large condenser that must be replaced with a parallel flow aluminum after market one, the largest you can fit in place of the old one, but you still have the POA valve problem. My advice? Replace the condenser as stated(available at this site), this will help to make it more efficient, and charge it back up with r-12. By the way, why are you replacing that bullet-proof A-6 compressor??? Your system should hold 3 and 1/2 pounds of r-12, 8 to 10 oz. of mineral oil, used in r-12 systems only. 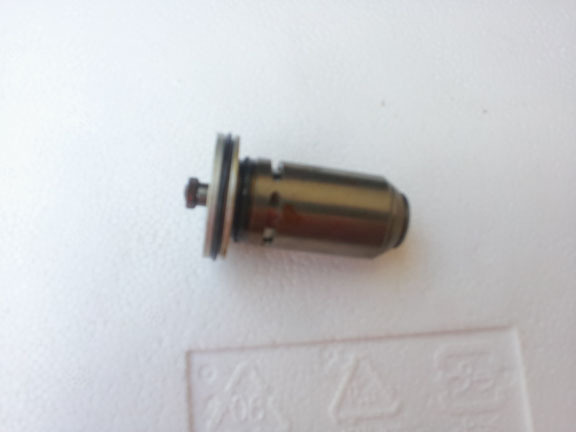 there was an aftermarket replacement POA valve that actually is a Chrysler EPR valve. I should have one in my old inventiry. I also remember this valve is adjustable withan EPR tester adaptor. Will look and see Sunday...oh wait..this is Sunday. Well later today.